Rwanda is gearing up to have another power plant worth $200million that will generate 56MW of electricity. This has emerged on the sidelines of the ongoing forum of Chief Executives from Mining and Energy sector gathered at Kigali Serena Hotel. 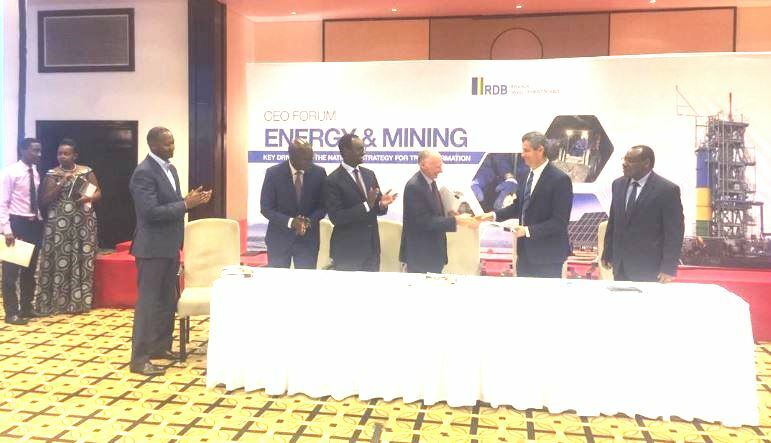 “Government of Rwanda has signed Concession and Power Purchasing Agreements with Symbion Power Lake Kivu Ltd. Symbion is going to invest US$ 200 million for the establishment of another 56MW plant on the shores of lake Kivu,” RDB said. At the signing, Claver Gatete Infrastructure Minister said that Rwanda projects to achieve 512MW of installed power generation capacity by 2024 and in essence achieve universal access from the current 218MW. “We cannot achieve this target without investors like Symbion in the private sector,” he said. Ogranisers of the forum say the Chief executives are strategizing on how their sectors can continue to influence economic transformation. 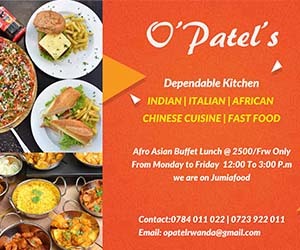 “In the last 3 years, investments in the two sectors have grown by 17%,” Emmanuel Hategeka Deputy CEO at Rwanda Development Board said Friday while officially opening the forum at Kigali Serena Hotel. Hategeka also highlighted the importance of cementing the role of the energy and mining sector in the private sector. The executives are deliberating under the theme ‘Energy and mining – Key drivers of the National Strategy for Transformation’. According to organisers, the event has brought together CEOs and policy makers of the Energy and Mining industry.